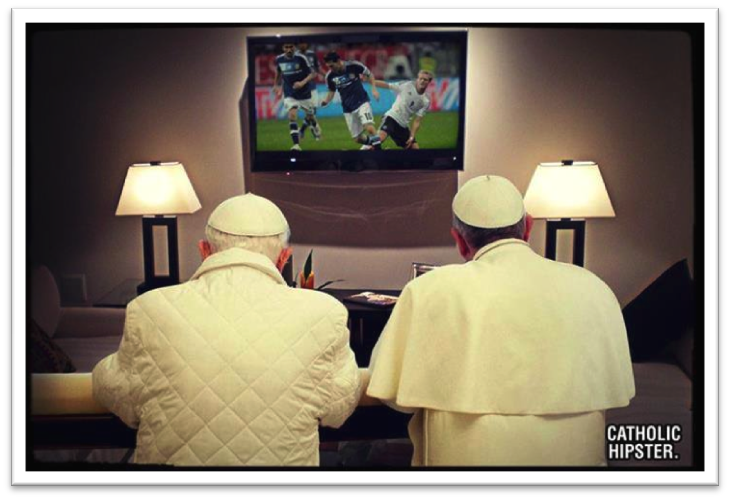 Unfortunately, anyone hoping for a non-Photoshop image – or better yet, a video – of Francis and Benedict watching the final match is likely to be disappointed. 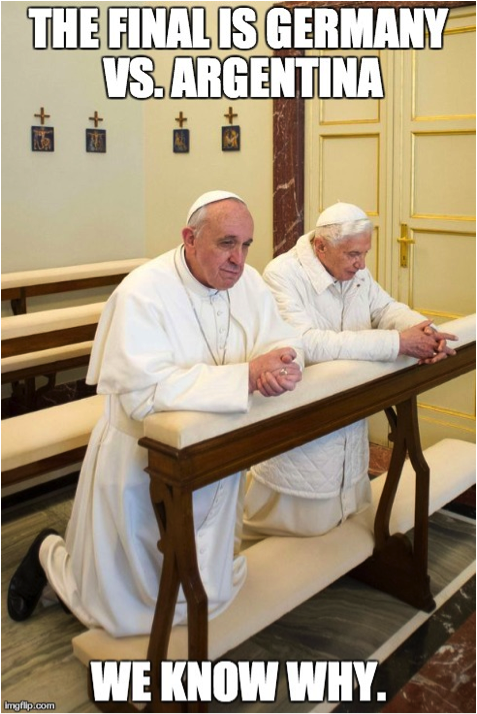 While the Vatican says Pope Francis “might want to watch” the finals, Benedict is emphatically not interested. 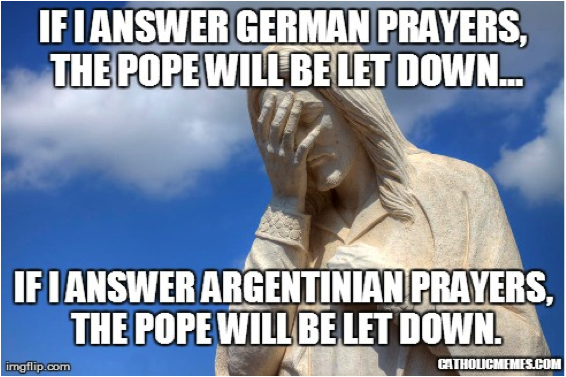 Even so, the world is wondering how the two holy men’s prayers might impact the results. Still, the special attention being paid to the Catholic Church in these final, exciting days of the World Cup seems oddly apt for a sport beloved by billions of people all over the world, representing every continent and almost every tongue. In some ways, football is the Catholic Church of sports. Think about it – you can put a thousand different Catholics from a hundred different countries who speak a dozen different languages at the same Mass, and regardless of what language the prayers are recited in, everyone will understand precisely what it going on, and know exactly what to do. It’s the same with the World Cup. Thousands of people from a multitude of diverse cultures have descended upon Brazil this month, all to witness and celebrate the same thing. In the end, the universality of football is, perhaps, equaled only by the universality of the Church.